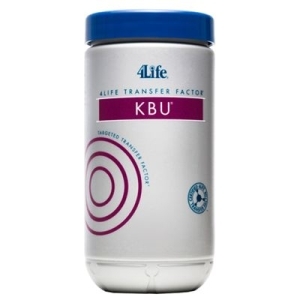 4Life Transfer Factor® KBU™ is formulated to support the entire urinary system for both men and women. Targeted ingredients like cranberry, blueberry, dandelion leaf, and juniper berry give you the support you need for healthy bladder function. It also promotes the healthy filtration process of the kidneys, helps maintain healthy fluid balance, and provides valuable immune system education with 4Life Transfer Factor® Tri-Factor Formula. Features targeted ingredients to support the entire urinary system, including cranberry, blueberry, dandelion leaf, and juniper berry. Includes the revolutionary power of 4Life Transfer Factor® Tri-Factor® Formula to educate immune cells and promote healthy urinary function. Ensures exclusivity with the protective United States patent 6,468,534 (extraction process for transfer factors from egg sources). Cranberry represents one of the most popular berry juices for health throughout almost every generation. In addition, cranberry was listed as the number one selling herbal supplement in 2008 and 2009. Bladder Support Blend: Cranberry (Vaccinium macrocarpon) fruit powder & extract, D-Mannose, Blueberry (Vaccinium angustifolium) fruit, Lingonberry (Vaccinium vitis-idaea) fruit. Kidney Support Blend: IP-6 (Inositol Hexa phosphate), Chanca Piedra (Phyllanthus nirun) herb, Juniper (Juniperus communis) berry, Dandelion (Taroxacum officianale) leaf, Varuna (Crateava nurvala) stem bark extract. pH Balancing Blend: Apple cider vinegar, Solium bicarbonate, Potassium bicarbonate, Calcium carbonate. Other Ingredients: Gelatin capsule, silicon dioxide, sodium stearyl fumarate, maltodextrin, dicalcium phosphate. CONTAINS INGREDIENTS FROM MILK AND EGGS.